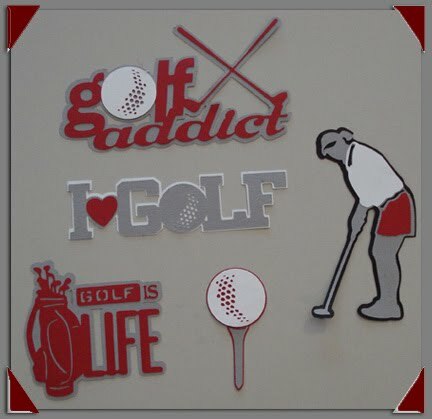 I think about golf all the time. A total addict, I can’t get enough of it. I keep waiting for the love affair to wear off, but it doesn’t. My book shelf is full of golf books; and golf magazines can be found all over the house. Luckily my golfguy loves the sport as much as I do. But that’s a good news/bad news thang. Nothing is more infuriating than coming home to discover that the most recent GOLF magazine has just arrived that day and he got dibs on it. And once he’s got it, it’s gone for the next 24 hours while he consumes the entire issue cover to cover. I currently subscribe to GOLF Magazine and Golf Digest and also enjoy a number of free magazines as well, including Golf Canada Magazine and InsideGolf (for whom I write on a regular basis). While other golf addicts like me jump to equipment reviews when their favorite magazine hits their mailbox, my first stop is always the golf tips section. GOLF Magazine, IMHO, has the best tips in their monthly “Private Lessons” at the back of every issue. When I’m in a slump with any part of my game, it’s not unusual for me to scour through old issues to find a tip that might resonate with my situation. 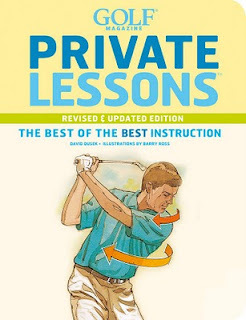 So you can imagine how excited I was to discover GOLF Magazine’s Private Lessons, 2nd edition. This book is chocked full of the “best of the best instruction” from GOLF Magazine over the years. The table of contents is organized so you can quickly find the area where you need the most help, starting with setup and address and ending with Faults and Fixes. There’s even a section on The Mental Game. The illustrations are great as well. I recently had an issue with over slicing the ball with my irons (can’t say the most dreaded word in golf outloud, but it rhymes with spank). Anyway, lucky for me, page 292 contained the cure with a simple drill I could practice on the range. Today, my irons are flying high and landing softly 80% of the time. Occasionally, old habits creep in, but now I know the secret to getting back on track. There are always 3 or 4 golf books next to my bed that come and go, but the only constant is Private Lessons. Browsing through tips before turning out the lights, I’ve discovered some “ah ha” moments that make me want to jump up and start swinging. I really do recommend this book if you love discovering new golf tips and tricks. And if you’re like me, it will become the “go to” book when it’s too late at night to call your swing doctor. I have an extra copy that I’d like to share with one of you. Whoever is first to post a comment with the right answer to this piece of US Open history wins their own copy. I chose this question because I am a huge fan of European golfers and believe that the guys from across the pond are ready to win it again. Hey, just look at Lee Westwood this past weekend – does he look ready to win the US Open? (On a side note, I really was hoping for Robert Garrigus at St Jude. My heart went out to him this weekend. I hope he bounces back and realizes that he already proved he’s got game and can win on the PGA Tour.). Since 1928, only one European-born golfer has won the U.S. Open. Who was the winner? So, go ahead and take a guess and let me know who you think it is. You might be surprised. 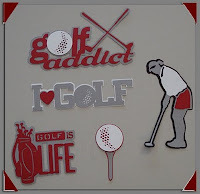 I’ll need your contact info, so please send it to me at golfgal [at] on-mark-it.com to claim your prize! Hi Monique! Yes, you are right!! !